Radio host Phil Valentine does an excellent job at illustrating his conservative vision, breaking it down issue by issue, using a colloquial style and vivid (and often funny) anecdotes. 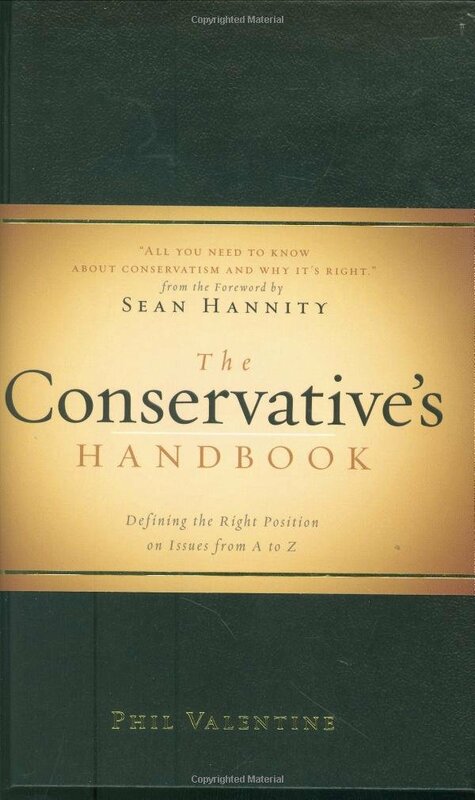 He also highlights the core principles that underpin conservatism, if in an unsystematic and almost haphazard way: he goes about in no particular order in tackling the usual suspects: religion, character, drugs, entrepreneurs, families, guns…. He defends his positions quite well, by providing considerable data to back them. For example, he cites the statistic that guns are used on average 2 million times a year, five times more often for protection than for committing crimes, and 128 times the total number of murders. That runs counter to the common perception that guns are used mainly to break the law, and that when they are used they result in murder. Another interesting statistic is that the famous 1% of US taxpayers pays almost 40% of taxes, whereas the bottom 50% pays only 3%. In other words, by and large rich people fund the bulk of public spending! Facts such as these debunk many myths about conservative positions being utterly irrational and based solely on ideology to serve the interests of the well-off. Valentine reminds us that politics is not only about core tenets, but also about coldly assessing the facts: many liberal positions run counter to those facts, but are commonly accepted because they are more palatable or sound more endearing. Having said that, some parts were memorable for me. I totally agree with the chapter: “you and you alone are ultimately responsabile for your own destiny”, which lies at the heart of the conservative mindset. Life is about using your freedom responsibly and creatively, not about waiting for someone – be it your family or the government – to give you your supposed “entitlements” or to bail you out of your bad decisions. Instead of envying successful people and asking the State to tax them harder we should be inspired by them and find our own version of success. We should also not apologize for or shy away from who we are, both individually and collectively. Our identity is important, and affirming it does not imply any less respect for other people and cultures, unless they trample on the fundamental principles we believe in. Moral relativism in nonsense, it leads to nihilism, not to cosmopolitanism. Not all beliefs were created equal, and we should be always be ready to defend our ideals of individual liberty, free market, rule of law and human rights. Valentine’s positions on abortion, guns, the traditional family, China, drugs, welfare benefits are debatable, and I can’t say I agree with all of them (ban trade with China? really? ), but I do see eye to eye with him on the fundamental principle that government should be limited, and that individuals and civil society should take care of many things that are currently (mis)managed by the central bureaucracy. The State should empower individuals, not create states of perpetual dependency. Citizens should be viewed and should view themselves not as victims, but as proactive, able-bodied individuals who have the resources not only to survive, but also to thrive by themselves in a free-market environment. If you take away this fear, which is also a fundamentally exhilarating drive, you cut all motivation short and turn citizens into passive, disenfranchised beings.